Aged white with light blue floral background, Hallmark Logo, and Betsey Clark illustrations. Printed in black: Richards News, 1328 Gallia St., Portsmouth, OH 45662, 353-0988. 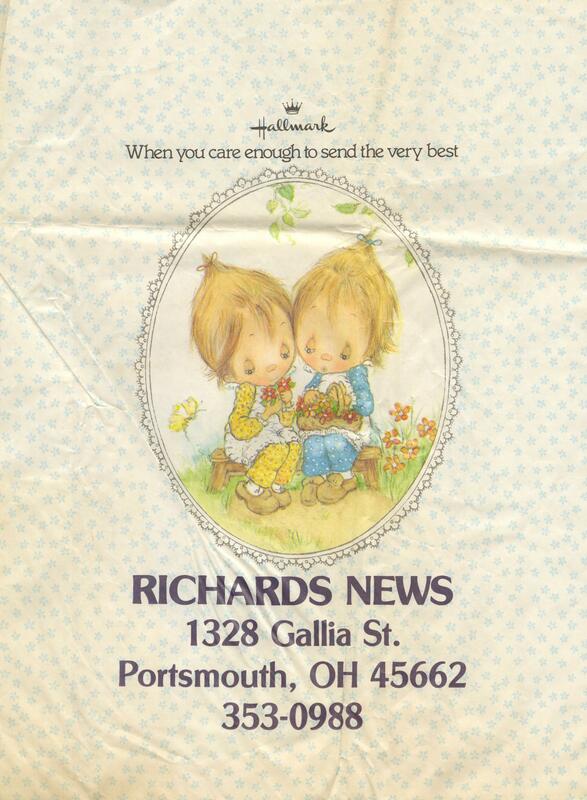 Hallmark Cards, Inc., Made in U.S.A.
Hallmark Cards, Inc., Made in U.S.A., “Richards News Hallmark Bag,” Local History Digital Collection, accessed April 22, 2019, https://www.yourppl.org/history/items/show/20687.